Our PC health check will check that your computer is running correctly. Ensuring that there are no bugs lurking in your computer, your software is up-to-date, your hard drive has plenty of clear space. Should we find anything lurking in your device that shouldn’t be there we will report this to you and upon your instruction we will then remove these items and protect your data at our normal engineering rates. We will give it a thorough check up and remedy anything we see at fault. If in doubt, then this service is for you. If you’re finding your computer or laptop is running a bit slow or taking a long time to load up a program, you could be in need of a Bulldog Technology Free Health Check. 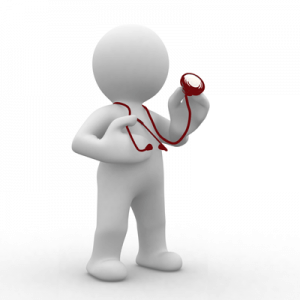 Our comprehensive PC and laptop health check will run diagnostic checks on your devices. We will run a virus and spyware check, just to make sure there are no nasty’s on your computer. We’ll complete a full clean up your system to remove unnecessary files clogging up your computer, block unnecessary programs from running in the background using up resources. With our health check there are many other PC tweaks that we do to improve performance. We’ll have your computer or laptop running like new again! Our team of engineers cover Aldershot, Farnborough, Camberley, Fleet, Yateley, Hook and surrounding areas. If you have an enquiry about one of our services, please get in touch via our contact page. We are a family run business with our distribution centre and Repair Facility based in Fleet, Hampshire. We are one of the largest stockists of Acer, NEC and Packard Bell laptop spare parts in the UK. If you cannot find the part you are looking for on the site, please contact us as we don’t list all of our parts in stock.